New Century Resources’ successful ramp-up of plant performance at its Century zinc mine in Queensland is validating its decision to expand in 2019. 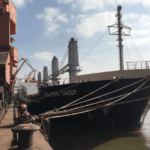 The company has completed installing a third mining cannon and pumping system, which allows the operations to ramp up to a mining rate of 8–10 million tonnes a year during the second quarter of 2019. 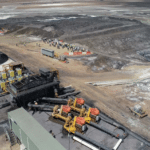 New Century will then ramp up to a 15 million tonne-a-year mining rate with the implementation of a total of five cannons by the end of 2019. The operations’ metal production increased by 50 per cent during the first quarter of this year, hitting 18,170 tonnes of zinc metal in 37,500 tonnes of concentrate grading 48.3 per cent zinc (compared with 25,500 tonnes at 47 per cent in the fourth quarter of 2018). The quality of Century’s zinc concentrate continued to improve significantly over the first quarter of this year, with a 25 per cent increase in the lead impurity content. Century’s total zinc recoveries were averaging 50 per cent for March 2019 and peaking at 54 per cent – 86 per cent of the design target. 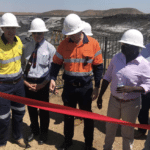 It demonstrates the significant improvement in its plant metallurgical performance at a time when wet season effects and mining of the tailings dam caused an eight per cent reduction in zinc metal mined, according to New Century. Century’s silver content of 152 grams a tonne within the concentrate remained in line with previous quarter operations.